Greetings and welcome to the campaign from Those Crazy Gilberts! In 2013, Those Crazy Gilberts attended their first comic convention in Chicago Illinois. 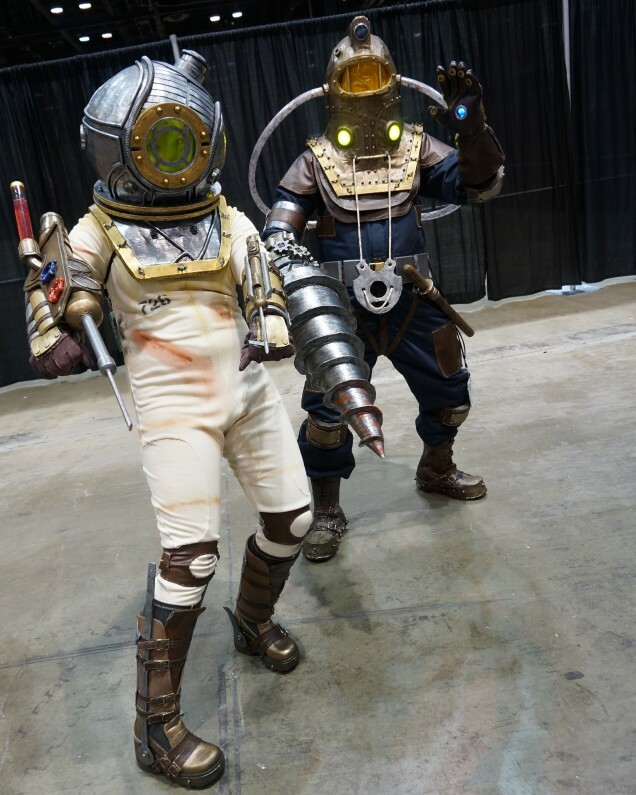 With a one-day pass in hand we stepped through the bag and security check at the entrance of C2E2 and immediately fell in love with the culture and spectacle of cosplay. The booths and vendors were exhilarating but it was the gutsy fans willing to pour blood, sweat, tears and hours of labor into their costumes that brought true magic to the day. We journeyed home with our treasures and memories, exhausted by only a single day at the convention and knew that we had to play too. Our conversation about it only confirmed that we were both on the exact same page, we had to cosplay. With very little experience that encompassed theater classes and model building, Those Crazy Gilberts set off on a year long journey to C2E2 2014. Team work prevailed, even when we were worn out, burnt out and arguing, we didn’t loose site of our goal. And, when the time came, we had our work finished and ready show! It’s our hope that our work will help to enchant con-goers as we were our first time; to add a even more magic to the super charged world of comic and entertainment conventions and maybe inspire others in the same way we were inspired. For those of you that are new to our site, welcome! We hope that you find it helpful and informative! For those of you that have followed us all year long as we raced toward C2E2, you’ll notice we’ve spiffed the place up a bit. You can find the pieces of our cosplay divided up and we hope that you find it easier to navigate as opposed to chronological order. We’d also like to thank you for your encouragement and support! Needing to keep you all informed helped keep us accountable for our own work!